She spent many an untroubled day, fishing for – and eating – shrimp, crabs, and cockles. 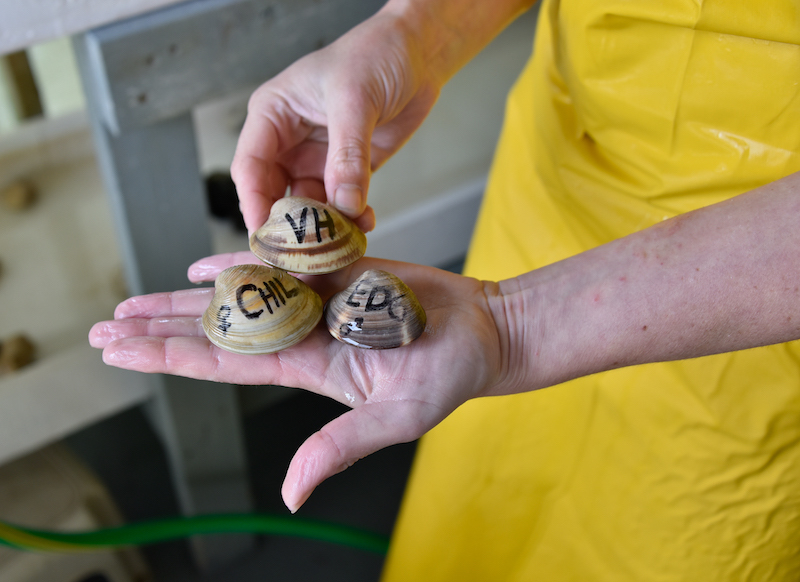 “I always loved shellfish,” she explains. Like her counterparts, the children that grow up living or vacationing on Martha’s Vineyard, Amandine’s blood became diluted with seawater and a life away from a large body of water became unthinkable. So her college major was an easy choice – oceanography and marine biology. “My favorite class was on macro algae,” she remembers. “I loved it so much I just knew I wanted to work with the ocean. Just touching it and smelling it made me feel like I was home.” After graduating from the prestigious Université Pierre et Marie Curie in Paris (currently the largest scientific and medical complex in France), she acquired a master’s degree in shellfish culture from the University of Wales in 2001. Then she came to the Island. 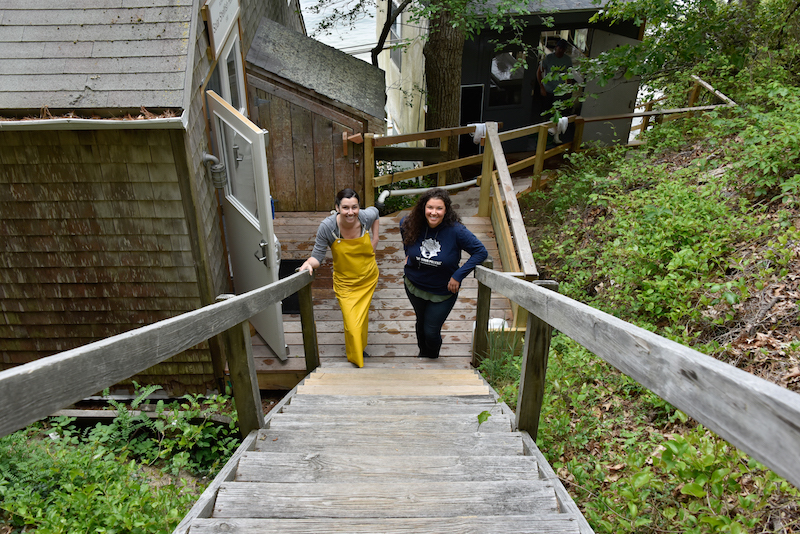 An ad on an international aquaculture site caught her attention and she applied for a summer hatchery assistant position on Martha’s Vineyard. She landed on Martha’s Vineyard with one suitcase in hand, and only a week late. 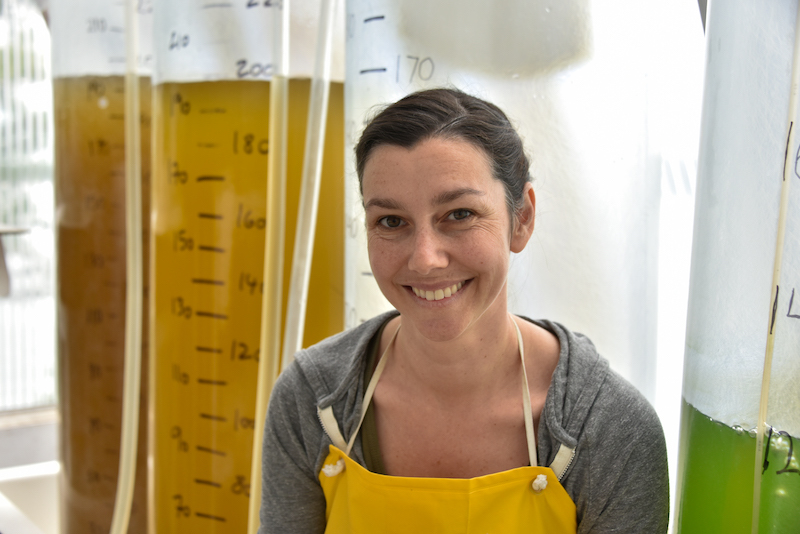 Amandine is now in her 18th year with Martha’s Vineyard Shellfish Group. Rick Karney has become director emeritus. Amandine shares the executive co-directorship with Emma Green-Beach. She’s since met and married a school teacher, Louis Hall, and is mother to a five-year-old boy and five-month-old twins (a boy and girl). Her friends here have stopped teasing her about the bit of British accent she picked up in Wales, and her family in France call her “the American” because of the slight accent she’s acquired here. 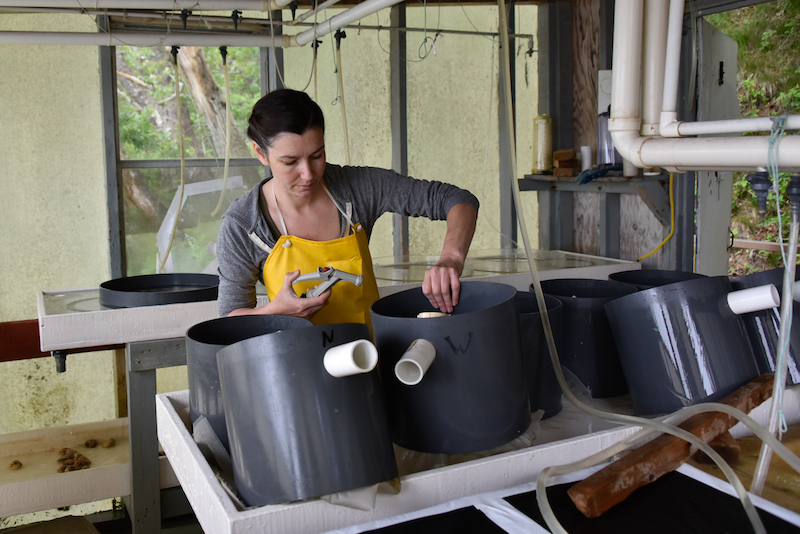 She now spends her days at the hatchery surrounded by tanks, tubes, sieves, and rushing water. 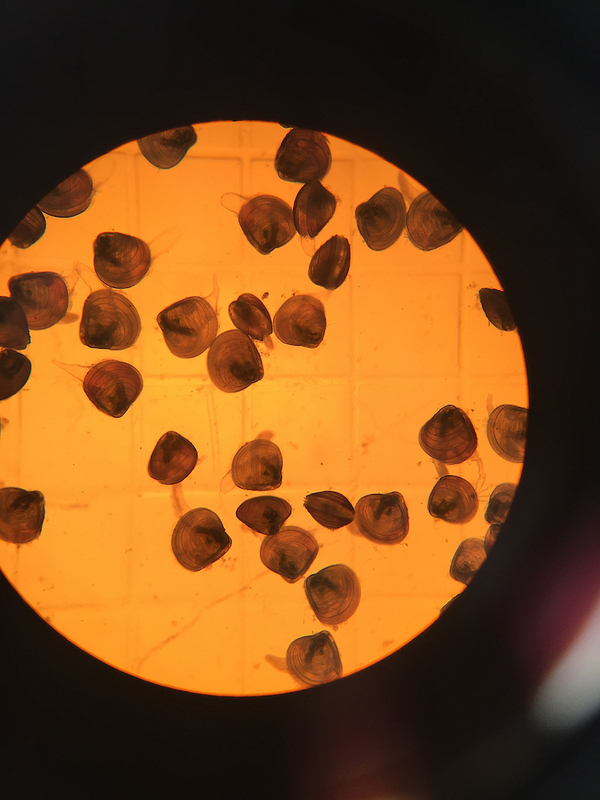 During the summer, she oversees a staff of five who nurture clams, oysters, and scallops in various stages of infancy until they are big enough to live on their own in various Island ponds. Along with Emma, she visits schools and other Island organizations to educate the public about the bi-valve mollusks in their care and the importance of clean and balanced aqua systems. Through the hatchery windows, she enjoys a view of Lagoon Pond and the ocean beyond. It’s a good life. “Our work still makes us tick,” she says, speaking for herself and Rick Karney. “It still excites us after all these years. Joyce Wagner is a freelance writer and historical novelist enjoying dual citizenship with Martha’s Vineyard and Gulfport, Fla.